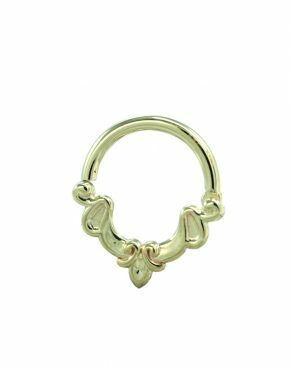 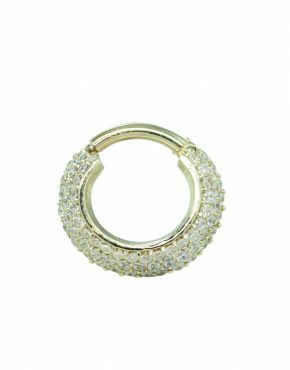 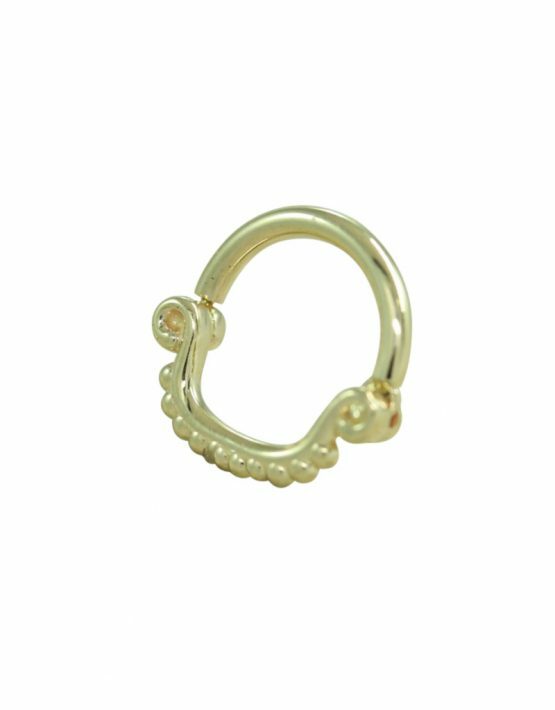 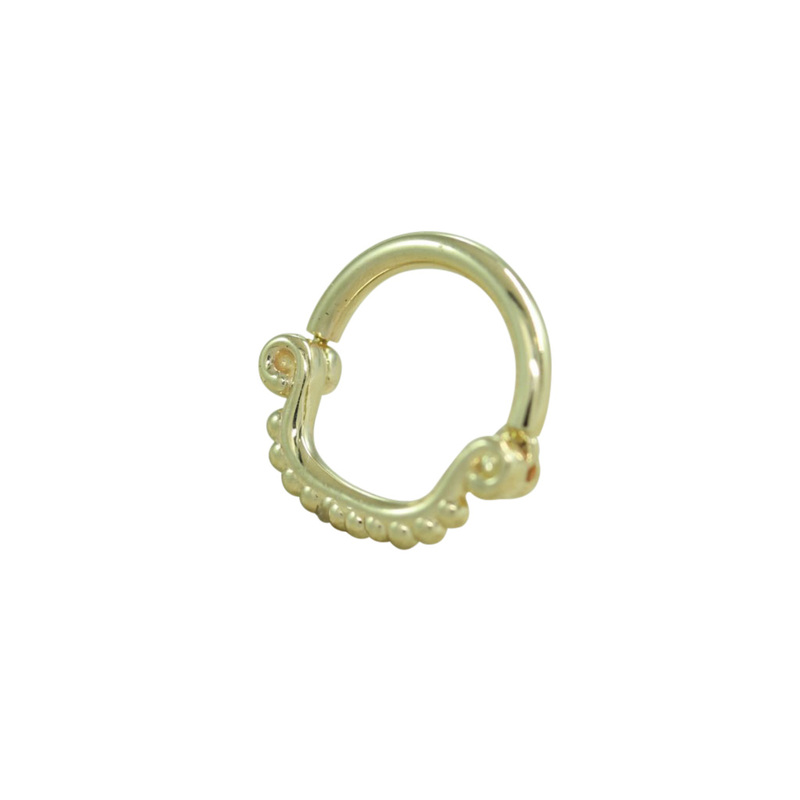 The detailing in this 14K Gold Septum Flatbeads is just gorgeous. 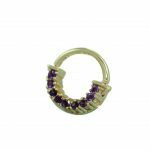 Flat bottom loops and beads on the bottom to add visual interest, without making it too busy or distracting. 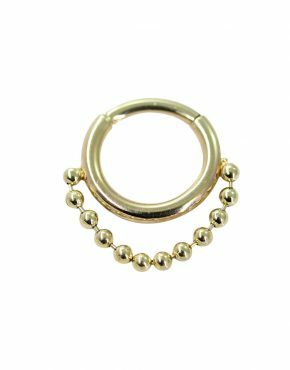 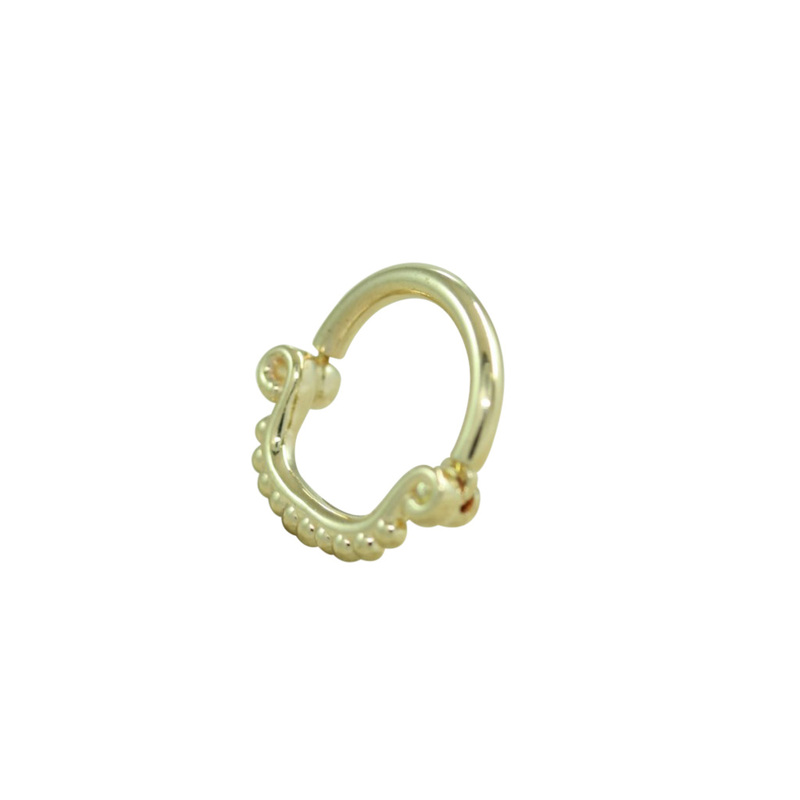 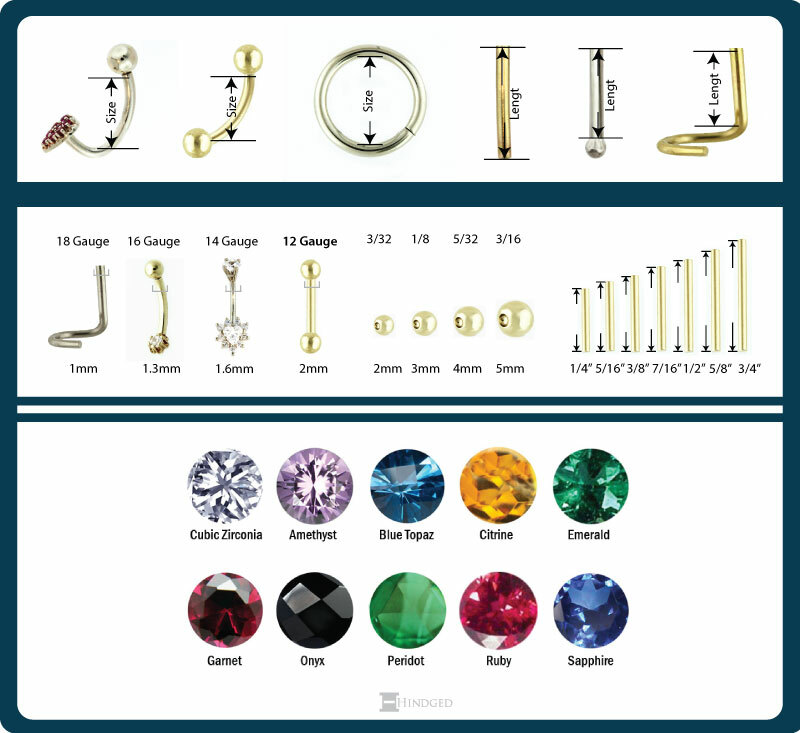 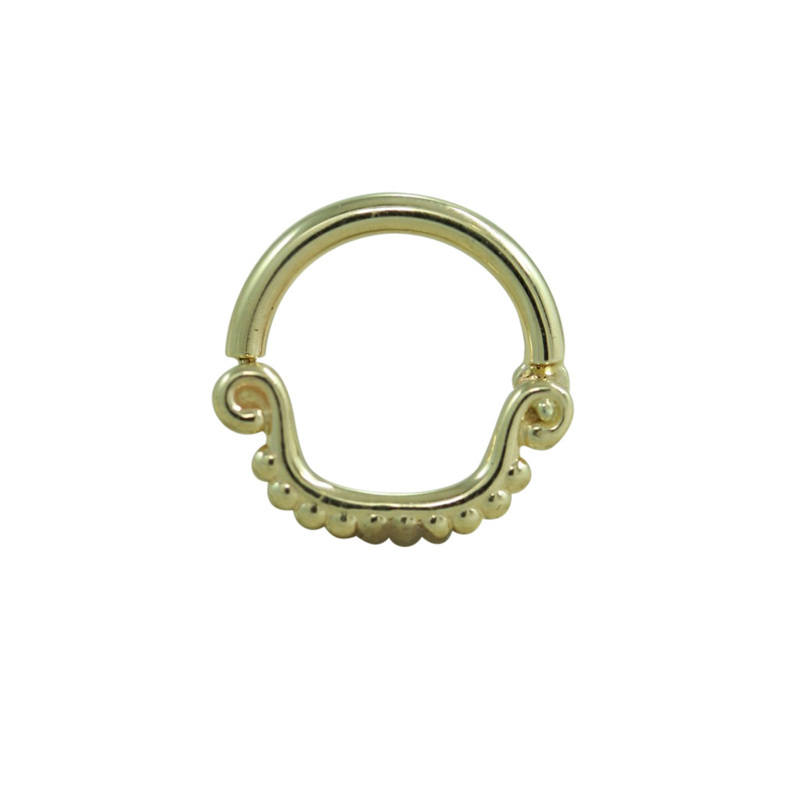 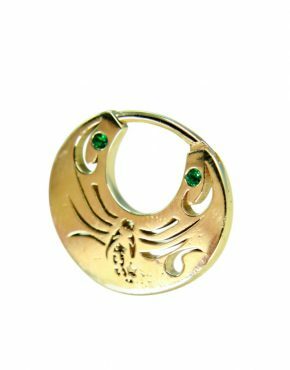 This beautiful Septum Flatbeads features a hinge mechanism that open and closes with ease. 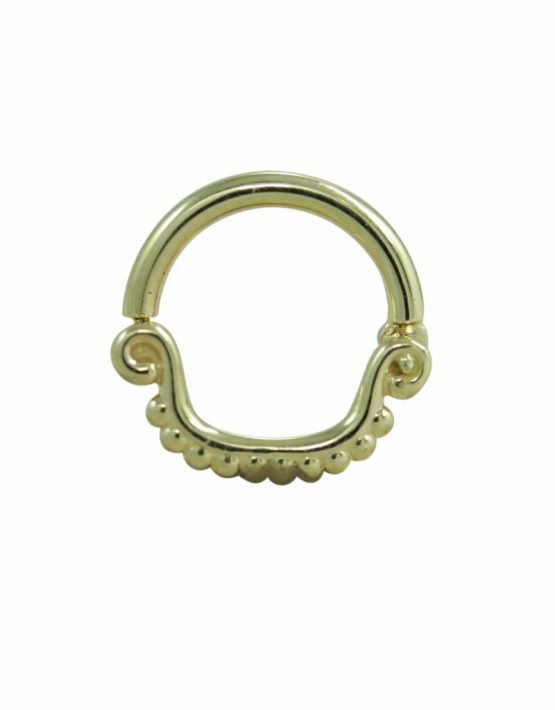 It snaps in the other side of the piece with a pin system to keep it in place.